Earlier this year, one of the largest state-run thermal power plants in West Bengal, which generates a quarter of India’s electricity, was shut for a staggering 10 days; a first in its 30-year history. At the power plant, water from the sacred Ganges river, is converted to steam and powers turbines which generate 2,300-megawatts of electricity and help keep equipment cool. This summer as temperatures soared across India, hitting a record 51 degrees in the deserts of Rajasthan, the concerns over depleting water resources are shifting from an alarming statistic to a serious fear of water scarcity and its consequences. Over 300 million people in 256 districts are affected by the scarcity of water across the country. This spells disaster across the subcontinent. The drying Ganges riverbed has brought a grinding standstill in energy production and severe shortages in the nearby town of Farakka where over 1000 families of plant workers live. Emergency services have been left to provide water for drinking, cooking and washing. After two years of underwhelming rainfall, India’s groundwater levels have been severely depleted. Some studies suggest that indiscriminate sugarcane farming and industry practices have contributed to the shortfall, and increased urbanisation, a burgeoning population and rising pollution levels have fuelled the crisis. In many parts of India, competing to find water has become a matter of life and death. Apart from, in many instances, Indians risking their lives to fetch water – farmers affected by two consecutive years of low rainfall have had to borrow heavily to make ends meet. The loans, totalling into hundreds of dollars, are proving impossible to repay in the third year of low agricultural yields. As a result, more farmers continue to turn to suicide and entire villages have been known to have no men – only women and children. Further south, in Beed, Maharashtra, the situation is just as bad. Because of the drought affecting traditional farmlands, entire families along with their livestock have been displaced – forced to travel to find water and fodder for their cattle. In makeshift refugee camps set up and supplied by the government, farmers affected by the drought continue to preserve limited assets or hold out in the hopes of selling on; and moving to the cities in search of work. As the lack of water continues to rampage the country – an entire populace’s social mobility is being called into question. Kailash Satyarthi, Indian child’s rights’ activist and previous Nobel Peace Prize winner, has urged India’s government to declare a state of emergency in the country. As water scarcity increases, Satyarthi argues that reports of children being trafficked, kidnapped, forced into labour and early marriages is on the rise. The increased vulnerability of children in drought-affected areas has repercussions on any work in child protection and rights advocacy. Similarly, as the growing tension over diminishing water resources begins to surface, conflicts have broken out in Latur, Maharashtra and farmer suicides have been on the rise. To limit the outbreaks of violence police have introduced prohibitions on the number of people allowed to gather at one time. In an effort to mitigate the growing tension of water scarcity, Water Resources Minister Ms. Uma Bharathi has introduced a first-of-its-kind plan to divert water from large rivers like the Bhramaputra to areas affected by drought. Environmentalists have raised alarm bells over the plan, fearing environmental degradation over a possible river divert that may translate into huge ecological and economic costs. The drought in its current form is estimated to cost the Indian economy 6,50,000 crore, a cost that could increase if the proposed river diversion plan were to fail. While the situation gets worse in rural areas, urban India continues to be largely unaffected. The shortage of water will eventually affect policy and urban populations. 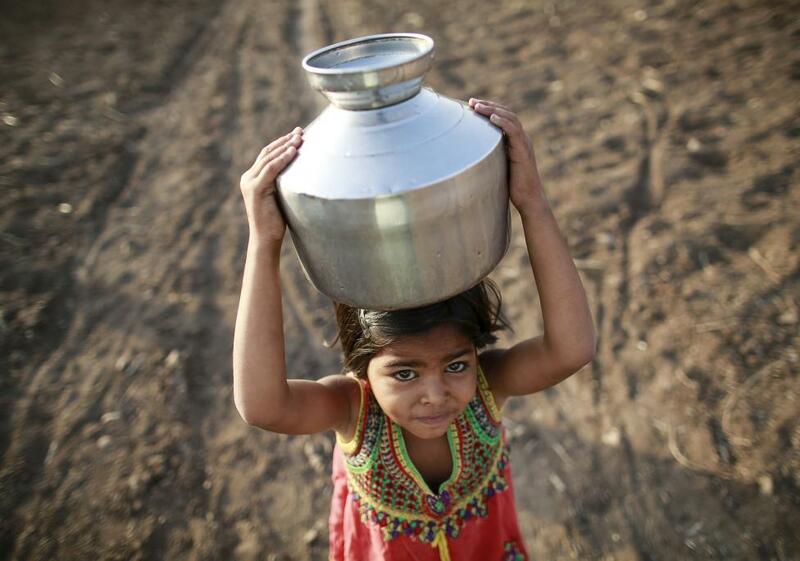 Whatever is decided, one thing is for sure – India’s water crisis is here and it is huge. The need for well-planned action is enormous and as India’s government continues to walk the tightrope between people and the planet, the situation gets heated.